Melbourne's cable tram network was developed in the late 1870s as a planned public transport system for metropolitan Melbourne and was constructed as a single major infrastructure project from 1884 to 1891. The system consisted of the cable tram engine houses which drove the cables; the car sheds for housing the dummies and cars; the tracks and the cable tunnels and the associated pits and terminal pits. The cable tram network was operated by two separate organisations. The Melbourne Tramways Trust built and owned the cable tram infrastructure which included the engine houses and the tracks and cables and represented the various municipalities that the tramways ran through. The operation of the system was contracted out to a private company, the Melbourne Tramway & Omnibus Company (MT&OC) who were responsible for providing the trams and building the car sheds. The building which was the head office of the MT&OC still remains at 669-673 Bourke Street. After 1916 the MT&OC's lease to run the system expired and a new body, the Tramways Board (TB), was established to replace both the MT&OC and the MTT and to run the whole cable tram system as a single body. All of the land and property of the MTT and the MT&OC was taken over by the TB. At the time of its construction the MTT system was the largest cable tram network under single ownership in the world and the most technologically advanced. It was a major influence on the development of metropolitan Melbourne. The North Carlton route was opened on 9 February 1889 and ran from Park Street along Rathdowne Street to Elgin Street where it linked with the Collingwood service along Johnston Street to proceed along Lygon Street to the city. This route provided the impetus for the growth of the distinctive retail development along Rathdowne Street. The engine house was designed by MTT architect Robert Gordon and is constructed of brick on a bluestone base and decorated with cement plaster mouldings, cornices and architraves. The Rathdowne Street facade is highlighted by projecting doorway with a gabled parapet. The hipped metal truss roof is hidden by brick parapet. The building housed the engine, drive wheels and the cable tensioning mechanism. A single storey brick ancillary structure, believed to have been used as the engine house office, is attached to the rear of the engine house. The cable pits are believed to survive under the building's concrete floor. The car shed was designed by architect Frederick Williams and is an unadorned utilitarian brick structure with a wide central doorway and narrow windows. The walls enclose a single open space that once included tracks, pits and a turntable for storing, servicing and turning the tram cars and dummies. It is believed that evidence of these structure exists under the concrete floor. The North Carlton cable tram engine house and car shed were unusual in Melbourne's cable tram network in that they were located together at the end of the line. The practice elsewhere in the cable tram network was to locate the engine houses at the centre of the line and the car depot at the end. The only other instances of an engine house and car shed being located together was at Toorak (corner Toorak Road and Chapel Street) and on the Northcote line. However the latter was privately constructed and operated and not part of the main MTT system until the early 1920s. The cable tram system was gradually replaced by the electrical powered system from the mid 1920s until 1940. The Rathdowne Street route closed in 1936 and the engine house and car shed buildings and land were sold. 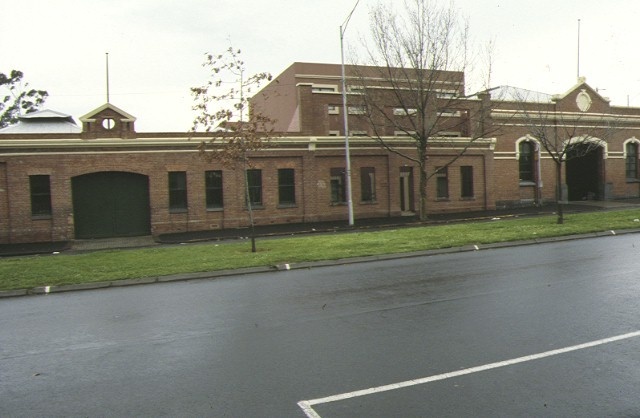 North Carlton Cable Tram Engine House and Car Shed is of historical, scientific (technological), architectural and archaeological significance to the State of Victoria. 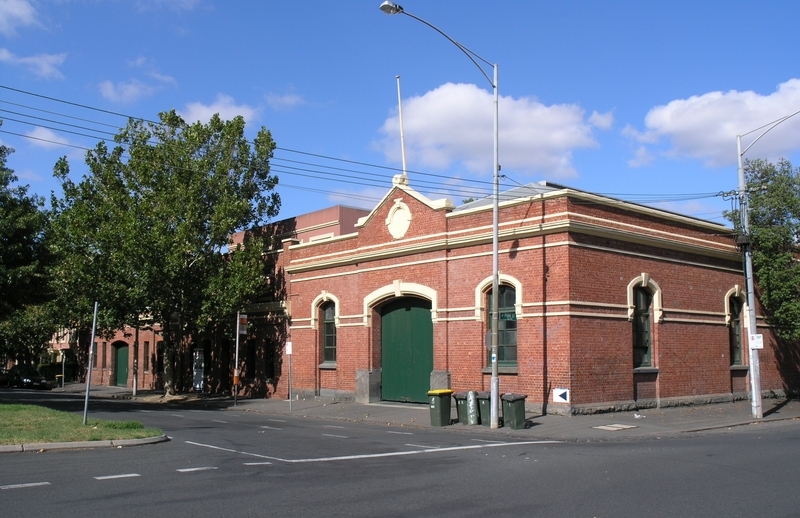 North Carlton Cable Tram Engine House and Car Shed are of historical significance as an extant component of Melbourne's cable tramway system. The system was of an exceptionally large size when considered against other systems internationally and its long period of use relative to other systems underscores its importance. 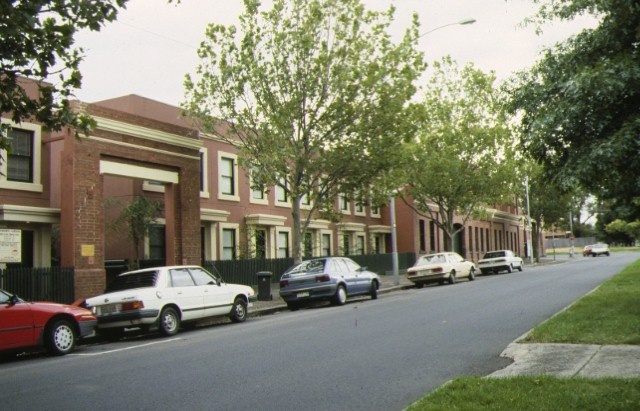 The system has been a major influence on the development of metropolitan Melbourne. North Carlton Cable Tram Engine House and Car Shed are of scientific (technological) for their ability to assist in an understanding of the operation of the cable tramway system, the operation of cable tram machinery and the storage of cable trams. North Carlton Cable Tram Engine House and Car Shed are of architectural significance for the method of their construction. The building forms express the utilitarian nature of the their use. North Carlton Cable Tram Engine House and Car Shed are of architectural significance as a rare instance of an engine house and a car shed being located together. The only other instances of this was at Toorak and Northcote. 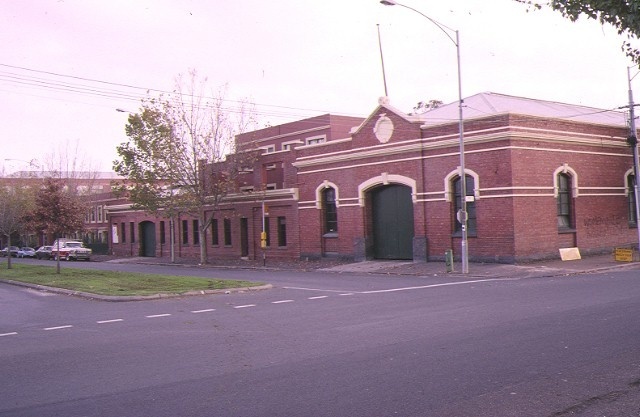 North Carlton Cable Tram Engine House and Car Shed are of archaeological significance for the potential to provide information on the cable tram operation. Tram tracks and cable tunnels may survive under Rathdowne Street and various below ground structures associated with the operation of both the engine house and the car shed may survive below the buildings. As Executive Director for the purpose of the Heritage Act 1995, I give notice under section 46 that the Victorian Heritage Register is amended by including the Heritage Register Number 0718 in the category described as Heritage Place. on Diagram 718 held by the Executive Director. 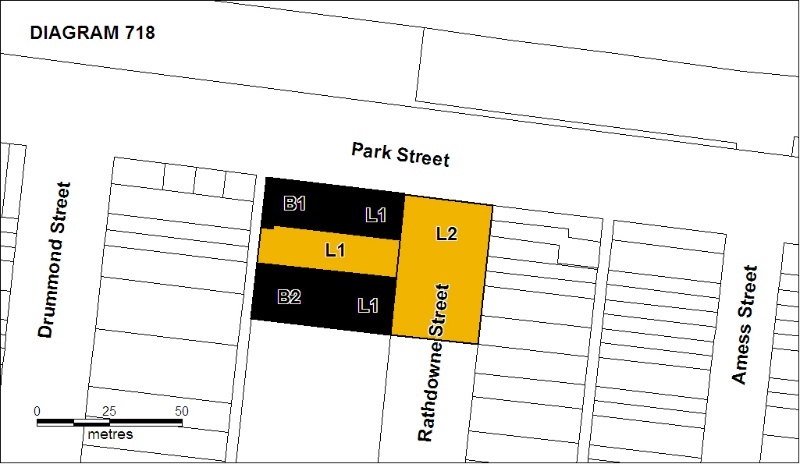 and all the land shown L2 being part of the Rathdowne Street road reserve on Diagram 718 held by the Executive Director. Built in 1889, this complex was once part of the largest and most advanced cable tram system under single ownership in the world and which was a major influence on the development of Melbourne. General Conditions: 1. All exempted alterations are to be planned and carried out in a manner which prevents damage to the fabric of the registered place or object. General Conditions: 2. Should it become apparent during further inspection or the carrying out of works that original or previously hidden or inaccessible details of the place or object are revealed which relate to the significance of the place or object, then the exemption covering such works shall cease and Heritage Victoria shall be notified as soon as possible. Note: All archaeological places have the potential to contain significant sub-surface artefacts and other remains. In most cases it will be necessary to obtain approval from the Executive Director, Heritage Victoria before the undertaking any works that have a significant sub-surface component. General Conditions: 3. If there is a conservation policy and plan endorsed by the Executive Director, all works shall be in accordance with it. Note: The existence of a Conservation Management Plan or a Heritage Action Plan endorsed by the Executive Director, Heritage Victoria provides guidance for the management of the heritage values associated with the site. It may not be necessary to obtain a heritage permit for certain works specified in the management plan. General Conditions: 4. Nothing in this determination prevents the Executive Director from amending or rescinding all or any of the permit exemptions. General Conditions: 5. Nothing in this determination exempts owners or their agents from the responsibility to seek relevant planning or building permits from the responsible authorities where applicable. Regular Site Maintenance : The following site maintenance works are permit exempt under section 66 of the Heritage Act 1995: a) regular site maintenance provided the works do not involve the removal or destruction of any significant above-ground features or sub-surface archaeological artefacts or deposits; b) the maintenance of an item to retain its conditions or operation without the removal of or damage to the existing fabric or the introduction of new materials; c) cleaning including the removal of surface deposits, organic growths, or graffiti by the use of low pressure water and natural detergents and mild brushing and scrubbing; d) repairs, conservation and maintenance to plaques, memorials, roads and paths, fences and gates and drainage and irrigation. e) the replacement of existing services such as cabling, plumbing, wiring and fire services that uses existing routes, conduits or voids, and does not involve damage to or the removal of significant fabric. Note: Surface patina which has developed on the fabric may be an important part of the item's significance and if so needs to be preserved during maintenance and cleaning. Note: Any new materials used for repair must not exacerbate the decay of existing fabric due to chemical incompatibility, obscure existing fabric or limit access to existing fabric for future maintenance. Repair must maximise protection and retention of fabric and include the conservation of existing details or elements. Fire Suppression Duties : The following fire suppression duties are permit exempt under section 66 of the Heritage Act 1995, a) Fire suppression and fire fighting duties provided the works do not involve the removal or destruction of any significant above-ground features or sub-surface archaeological artefacts or deposits; b) Fire suppression activities such as fuel reduction burns, and fire control line construction, provided all significant historical and archaeological features are appropriately recognised and protected; Note: Fire management authorities should be aware of the location, extent and significance of historical and archaeological places when developing fire suppression and fire fighting strategies. The importance of places listed in the Heritage Register must be considered when strategies for fire suppression and management are being developed. Weed and Vermin Control : The following weed and vermin control activities are permit exempt under section 66 of the Heritage Act 1995, a) Weed and vermin control activities provided the works do not involve the removal or destruction of any significant above-ground features or sub-surface archaeological artefacts or deposits; Note: Particular care must be taken with weed and vermin control works where such activities may have a detrimental affect on the significant fabric of a place. Such works may include the removal of ivy, moss or lichen from an historic structure or feature, or the removal of burrows from a site that has archaeological values. Landscape Maintenance : The following landscape maintenance works are permit exempt under section 66 of the Heritage Act 1995, a) landscape maintenance works provided the activities do not involve the removal or destruction of any significant above-ground features or sub-surface archaeological artefacts or deposits; b) watering, mowing, top-dressing and fertilising necessary for the continued health of plants, without damage or major alterations to layout, contours, plant species or other significant landscape features; c) pruning to control size, improve shape, flowering or fruiting and the removal of diseased, dead or dangerous material, not exceeding 20% of the crown of the tree within a period of two years; d) tree surgery by a qualified horticulturalist or tree surgeon necessary for the health of those plants. Public Safety and Security : The following public safety and security activities are permit exempt under section 66 of the Heritage Act 1995, a) public safety and security activities provided the works do not involve the removal or destruction of any significant above-ground structures or sub-surface archaeological artefacts or deposits; b) the erection of temporary security fencing, scaffolding, hoardings or surveillance systems to prevent unauthorised access or secure public safety which will not adversely affect significant fabric of the place including archaeological features; c) development including emergency stabilisation necessary to secure safety where a site feature has been irreparably damaged or destabilised and represents a safety risk to its users or the public. Note: Urgent or emergency site works are to be undertaken by an appropriately qualified specialist such as a structural engineer, or other heritage professional. Signage and Site Interpretation : The following Signage and Site Interpretation activities are permit exempt under section 66 of the Heritage Act 1995, a) signage and site interpretation activities provided the works do not involve the removal or destruction of any significant above-ground structures or sub-surface archaeological artefacts or deposits; b) the erection of non-illuminated signage for the purpose of ensuring public safety or to assist in the interpretation of the heritage significance of the place or object and which will not adversely affect significant fabric including landscape or archaeological features of the place or obstruct significant views of and from heritage values or items; c) signage and site interpretation products must be located and be of a suitable size so as not to obscure or damage significant fabric of the place; d) signage and site interpretation products must be able to be later removed without causing damage to the significant fabric of the place; Note: The development of signage and site interpretation products must be consistent in the use of format, text, logos, themes and other display materials. Note: Where possible, the signage and interpretation material should be consistent with other schemes developed on similar or associated sites. It may be necessary to consult with land managers and other stakeholders concerning existing schemes and strategies for signage and site interpretation. Mineral Exploration : The following Mineral Exploration activities are permit exempt under section 66 of the Heritage Act 1995, a) mineral Exploration activities provided the works do not involve the removal or destruction of any significant above-ground features or sub-surface archaeological artefacts or deposits; b) preliminary non-intrusive exploration, including geological mapping, geophysical surveys, and geochemical sampling and access to shafts and adits; c) advanced forms of exploration (drilling), including the location of drill pads and access tracks where this has been the subject of on-site negotiation and agreement with representatives of Heritage Victoria, DSE and Parks Victoria, and where all significant historic site features have been identified and protected as part of an approved work plan. Minor Works : Note: Any Minor Works that in the opinion of the Executive Director will not adversely affect the heritage significance of the place may be exempt from the permit requirements of the Heritage Act. A person proposing to undertake minor works may submit a proposal to the Executive Director. If the Executive Director is satisfied that the proposed works will not adversely affect the heritage values of the site, the applicant may be exempted from the requirement to obtain a heritage permit. If an applicant is uncertain whether a heritage permit is required, it is recommended that the permits co-ordinator be contacted. The former engine house and car depot are important for their substantial intactness and any works impacting on its significance or structural integrity are subject to permit applications. The potential archaeological remains of tram track infrastructure under Rathdowne Street may provide information about the operation of the cable trams, including turning and shunting operations. Any works affecting the disturbance of below ground components of the site are subject to permit approval or the written approval of the Executive Director.